Cpl. James G. Prescott, son of Mrs. Della Prescott, graduated from Frederick High School; husand of the former Margie H. Smith. 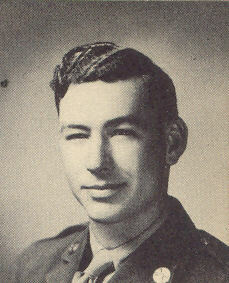 Entered Army in Sept., 1942, trained in Camp Hulen, Texas, and Camp Cooke, Cal. ; served in Australia, New Guinea, Philippines and the Admiralties; is now enroute to U.S. Awarded Good Conduct Medal, Asiatic Pacific Ribbon with three Battle Stars. Am. Theatre Ribbon. (as per original 1940's publication).